I’m not one to not cater to my cravings. If I’m in the mood for ice cream, I usually eat it. If I’m in the mood for a hot dog, I have one. I try not to have too many of the indulgent things I crave, but I satisfy my cravings all the time. This recipe was created from a craving…and this time it was for something surprisingly healthy. That doesn’t always happen. But when it does I get really excited. I’ve been eating terribly for the last couple of weeks; doughnuts here, ice cream there and lots and lots of tacos. I realized yesterday, as I was eating a plate of chicken wings, that I hadn’t had a vegetable in a while and I missed them. I missed healthy grains, too. This recipe is refreshing, light and filling all at the same time. It’s the type of salad you want to eat for dinner, and then save a portion of it so you can have the rest for lunch the next day. It’s resilient to sitting in the fridge for a day or so. The flavors are familiar but also interesting. A little kick from the ginger and Sriracha make it fun, while the lime juice and mint make it really refreshing. It’s a feel-good salad, because sometimes that’s what you’re craving. Preheat broiler. 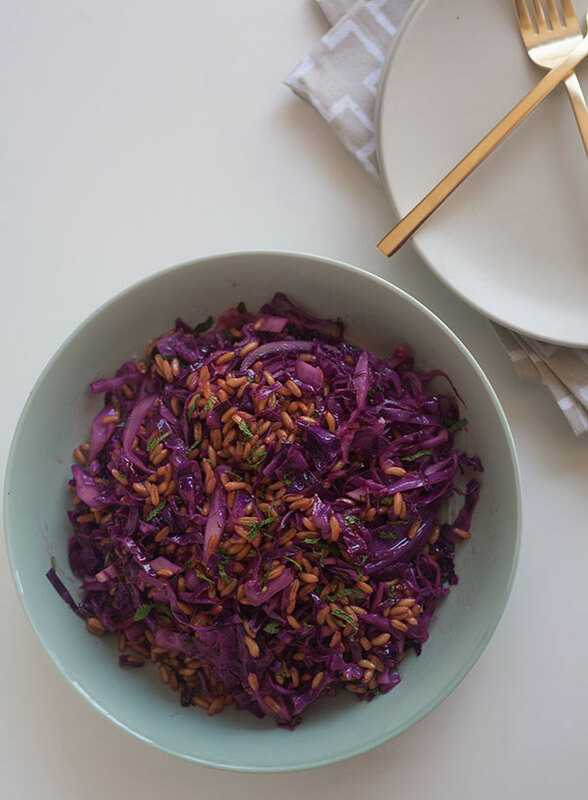 Spread the sliced cabbage onto a parchment-lined baking sheet and drizzle with about 1 tablespoon of sesame oil. Toss until thoroughly coated. Transfer the baking sheet to the broiler for 2 minutes, just until the cabbage appears slightly softened and turns a very bright purple. Place the cabbage in a large bowl. In a saucepan, set over medium heat, combine the kamut with 2 cups water. Allow to simmer and cook for about 10 minutes, until the water has mostly evaporated and the kamut is tender. Transfer the kamut to a colander and rinse under cold water. 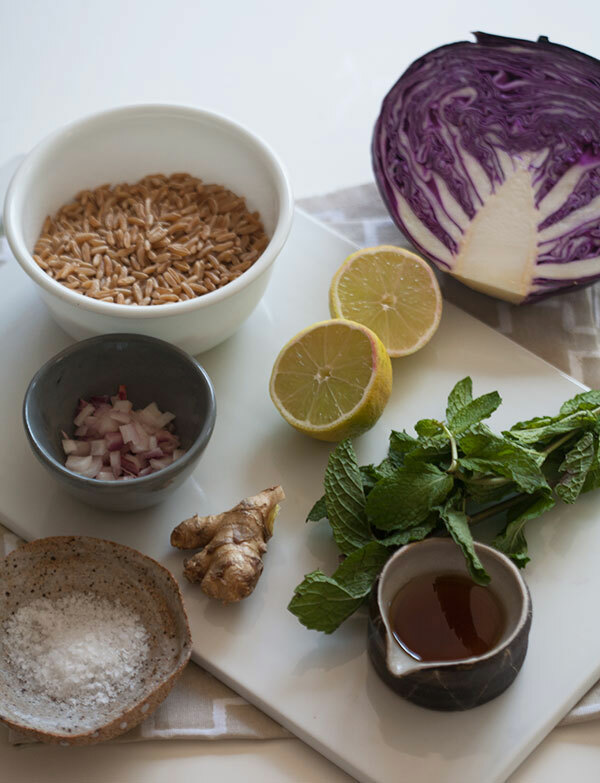 Place the kamut in the bowl with the cabbage. 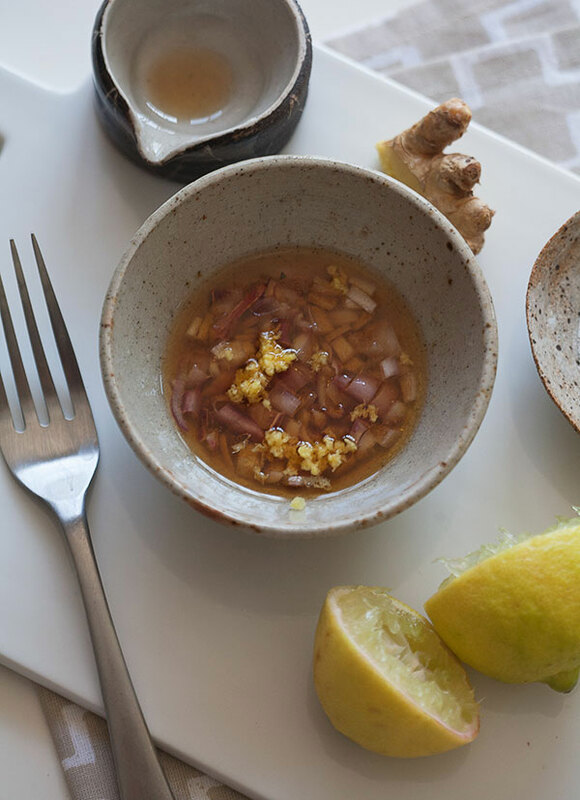 In a small bowl, whisk together the remaining 2 tablespoons of sesame oil, shallot, ginger, sugar, lime juice, Sriracha and a few generous pinches of salt. 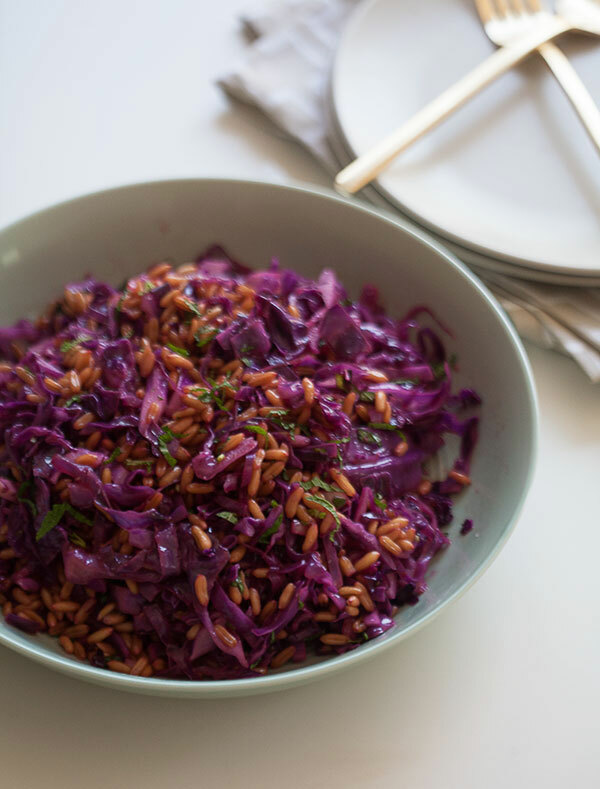 Pour the dressing over the cabbage and kamut; toss until combined. Add the mint leaves and toss once more. Give it a taste and adjust the salt according to taste. Serve warm or cold. If you’d like the salad to be cold, transfer to the fridge for 1 hour to chill.